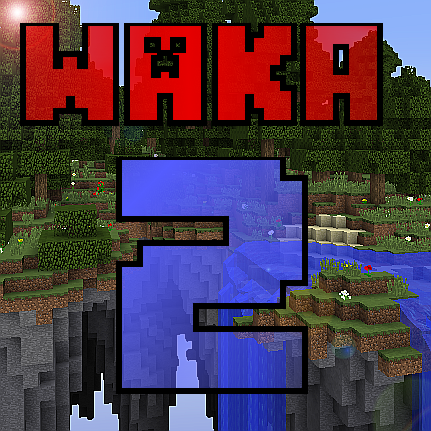 Featuring 13 islands (1 classic, 12 BRAND NEW), Waka Islands 2 is the sequel to Xeno's Hit map Waka Islands, reaching over 500,000 individual downloads since release! The map is a survival-based challenge map, requiring the player to gather resources to turn in to complete the map. There are 13 challenges in total, 1 for each island, and several dungeons in the islands, making this the most immersive, fun, and adventurous map Xeno has ever made! Legal Info: OWNER - Xenocorpse, the original author of the map. Under the copyright terms accepted when purchasing Minecraft (http://www.minecraft.net/terms) the author (Xenocorpse) has full rights over his maps despite use of Mojang code. These maps may only be distributed where uploaded, mirrored, or otherwise linked to by the OWNER solely. All mirrors of these maps must have an explicit permission from the author (Xenocorpse). ANY attempts to make money off of these MAPS (selling, selling modified versions, adfly, sharecash, etc.) are STRICTLY FORBIDDEN, and the author (Xenocorpse) may claim damages or take other action to rectify the situation. These MAPS are provided freely and may be decompiled and modified for private use, either with a decompiler or a bytecode editor. Public distribution of modified versions of these maps require explicit permission of the Author (Xenocorpse) and may be subject to certain terms. User(s) are allowed to produce monetized content of the map(s)- e.g. Youtube videos, etc.- under the condition that in each unit of said content they provide full credit for the creation of the map(s) to the Author and that they link directly to the official minecraft forum thread. Violation of these terms may result in copyright claims filed against the content by the Author. I just started a Playthrough! i have a question why is it ur channel that gets linked if ur not the map maker?